How do the lost prepare themselves for salvation; or can they? 1. The parts of religion are two: natural worship and voluntary or instituted worship. 2. This distinction is based on Exod. 20:6 in the words of the second commandment, Those -who low me and keep my command­ments. 3. Natural worship is that which depends upon the nature of God. Even though there were no law revealed and set forth by God, if we rightly perceived and knew the nature of God by proper contempla­tion, with the grace of God helping, we might know all those things which pertain to our duty. 4. Everyone who understands the nature of God rightly necessarily knows that God is to be believed and hoped in, that he is to be loved and called upon, and to be heard in all things. Jer. 10:25; 2 Thess. 1:8, Pour out thy -wrath upon those nations that do not know thee and upon the kingdoms that do not call upon thy name. Although we obtain eternal life neither by merit nor by virtue of our obedience, this part of obedience has such an essential con­nection with faith resting upon Christ for eternal life that it cannot be separated from it. 6. This worship has been, is, and shall be one and the same, immutable. 1 John 2:7, The old commandment which you had from the beginning. 1. Natural worship is prescribed in the first commandment because it is both internal and external. 8. First, all observance is the same inwardly and outwardly and, therefore, both inward and outward worship are treated in the same commandment. Second, in the commandments of the second table, inward and outward obedience are prescribed together in each one, as Christ interprets them. Matt. 5, and all the more so in the com­mandments of the first table, as in” the first and most important. Third, if it were true that the first commandment calls only for inward worship and the second only for outward, then the first command­ment would bind only the inward man and the soul to obedience and the second only the outward man and the body. This is contrary to all reason. 9. Natural worship directs itself towards God, either as our good or as good in himself. 10. The worship which directs itself toward God as our good regards him either as he is ours at present, in faith, or as he is to be ours, in hope. 11. Faith is the virtue by which, clinging-to the faithfulness of God, we lean upon him, so that we may obtain what he gives to us. John 3:33, He who receives his testimony has sealed that God is true; John 1:12, As many as received him believed in his name. 12. These five things belong together in divine faith: 1) a knowl­edge of what God testifies to; 2) a pious affection toward God which gives his testimony greatest force with us; 3) an assent given to the truth testified to, because of this affection toward God who is the witness of it; 4) a resting upon God for the receiving of what is given; and 5) the choosing or apprehension of what is made avail­able to us in the testimony. 13. The first of these is in the understanding. But it does not pro­duce faith because it is common to us along with unbelievers, heretics, apostates, and the devils themselves. 14. The second, fourth, and fifth are in the will and produce faith as the force within and act of religion. 15. The third is in the understanding but only as it is moved by the will. It does not have the virtue of faith, but is rather an effect of it. 16. But the perfection of faith lies only in the choosing or appre­hension, and so must be defined by it. 17. The nature of faith is excellently set forth in the Scriptures when the faithful are said To cleave to God, Josh. 23:6; Acts 11:23; 1 Cor. 6:17. To choose the way of truth and to cleave to the testimony of Cod, Ps. 119:30, 31. 18. For by faith we first cleave to God and then fasten on to those things which are made available by God. God himself is, there­fore, the first object of faith and what is made available by God is secondary. nor about mere predictions for in the strict sense they make no good available to us. But faith is rooted in the promises, because in them is set forth a good to be embraced. Therefore, our theologians are accustomed to make the promises the primary object of faith. 20. Those who place faith in the understanding confess that there must be some action of the will to secure that assent, just as in human faith it is said to be a voluntary matter to give credit to someone. So if faith depends upon the will, it must be that the first beginning of faith lies in the will. 21. The material object [objectum quod] of this faith is whatever is revealed and set forth by God to be believed, whether by spirit or word, publicly or privately. Acts 24:14, I believe all things that are written in the law and prophets; John 3:33, He that receives his testimony. 22. Therefore, the church is not absolutely necessary as an object of faith, not even for us today, for then Abraham and the other prophets would not have given assent to those things which were revealed to them from God without any intervening help of the church. To hold contrary is both against the Scriptures and sound reason. But such is the position accepted and maintained by the most learned papists so that they may defend the feigned authority of their false church from arguments of this kind. Heb. 11:13, Not having received the promises, but seeing them . . . afar off after they were persuaded of them and had embraced them. We do not frame axioms except to have knowledge of things. There­fore, the chief end towards which the act of the believer is directed is the thing itself, to which the axiom chiefly refers. 25. The formal object of faith is the truthfulness or faithfulness of God. Heb. 11:11, Because she judged him faithful who had promised. The formal or, as they say, particular reason of faith is truth telling, i.e., the truthfulness or faithfulness of God truly revealing something. It is a commonplace that faith depends on the authority of the one who gives the testimony. Faith is-thus distinguished from opinion, knowledge, experience, sight, or sense. The authority of God plainly lies in his truthfulness or faithfulness. Titus 1:2, God, w/io cannot lie, has promised. Hence the proposition is most true that whatever we are bound to believe through divine faith is true. Nothing ought so to be believed unless God himself witnesses the truth of it; God testifies as one who is truthful, and the truth in a witness who knows all things cannot be separated from the truth of his testimony. Therefore, it fol­lows that all that we are bound to believe through divine faith is true. The whole matter is clearly confirmed and used by the apostle Paul in 1 Cor. 15:14, 15, If Christ be not raised our preaching is vain and your faith is in vain. We are even found to b.e false witnesses of God, because we have testified of Cod that he raised up Christ. If the testi­mony is not true, the witness is false. Unless it is admitted that what­ever God witnesses is true, the surest consequence — namely, that God witnesses this or that and therefore it is true — would avail nothing. Thus divine faith cannot be a principle or cause of giving assent to what is false or of making a false assent either directly or indirectly, ei­ther by itself or by accident. 26. Therefore, the certainty of faith about the object is most sure. And to the extent that it is confirmed in the subject or the heart of the believer, so much is the glory of God increased. Rom. 4:20, 21, He did not doubt this promise of God because of unbelief, but he was strengthened in faith giving glory to God and being fully persuaded that he who had promised was able to do it. It is true that our faith sometimes wavers, but this comes not from the nature of faith but from our imperfection. 27. A sufficient and sure presentation of the objects of faith, that is, both those things which are to be believed and the form in which they are to be believed is made for us in the Scriptures. Rom. 16:26, It is made manifest and by the writings of the prophets, according to the commandment of the everlasting Cod, made known to all nations for the obedience of faith. 2 Tim. 3:15, The Holy Scripture can make you wise to salvation by faith which is in Christ Jesus. 28. The light and witness of the Holy Spirit stirring up faith in us is necessary in the subject, or our hearts. Yet for the object itself which is to be received by faith absolutely nothing is required—­neither the things to be believed nor the incentive nor reason for believing—which is not found in the Scriptures. 29. Therefore, divine faith cannot be reduced or resolved into the authority of the church or into any simple external arguments, often called motives, which by persuasion and inducement prepare us for faith. Faith goes back to the Scriptures themselves, to the authority which they bear from the author God, the first and proper cause of the things to be believed, and to the operation of the Holy Spirit, which is the proper cause of the believing act itself. 30. So the first principle from which faith takes its start and into which it is finally resolved is the conviction that the Scriptures are revealed from God for our salvation as a sufficient rule of faith and morals. 2 Peter 1:19, 20, You must first know this, that no prophecy of the Scripture is a matter of private interpretation. 31. Faith is partly implicit and partly explicit. common principle, not distinctly in each separately. which are written in the law and the prophets. 34. He who believes that the Scripture is true in every way believes implicitly all things which are contained in the Scripture. Ps. 119:86, compared with verses 18, 33, All the precepts are truth itself . . . Open my eyes that 1 may see the wonders of the law. Teach me, 0 Lord, the way of your statutes which I will keep to the end. David believed that these were wonderful and should be sacredly kept even though he did not yet sufficiently understand them. 35. This implicit faith is good and necessary but it is not in itself sufficient for salvation; nor does it possess the true meaning of faith if it stands alone. The will cannot embrace a good which it does not know distinctly, nor will it be effectively moved by it. Rom. 10:14, How shall they believe in him of whom they have not heard. 2 Cor. 4:3, The foundation of repentance from dead works and of faith in God. If our gospel be hid, it is hid to them who perish. 38. 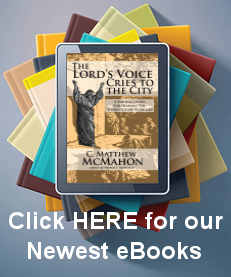 A more explicit faith is required now after the coming of Christ than before, 2 Cor. 3:18. It is also more required in those who are set over others in the church than in the common people, Heb. 9:12. Last, it is more required of those who have occasion to be well instructed than of others, Luke 12:48, To whom much is given, of him much shall be required. 39. The outward act of faith is the confession, profession, or mani­festation of it, which in their order and place are necessary to salva­tion, Rom. 10:9, 10. These are always necessary for the preparation and disposition of the mind, 2 Peter 3:15. And they are necessary for the act of faith itself when the glory of God and the edification of neighbor require them. 40. Persistence in confession of the faith leading to the loss of temporal life testifies to the truth and brings the greatest honor to God. Therefore, ko.t’ ‘f^oxtv, at its height, it is called ttaprdpior, mar­tyrdom, and those who engage in it are called ^Aprupw, witnesses, Rev. 2:13. This is as necessary in its place as confession of faith when it cannot be refused without denying Christ, Matt. 10:33, 39; 16:25. 41. Infidelity, doubt, error, heresy and apostasy are opposed to faith. 42. Infidelity is a dissent from the faith in a man who has not yet professed the true faith, 1 Cor. 14:22, 23. 43. Doubt occurs in one who has made profession but whose assent is now diminished or taken away. 44. Doubt that only diminishes assent may coexist with a weak faith, 1 Cor. 8:10, 11. But doubt which takes away assent cannot, Jas. 1:6-8. 45. Error in faith puts forth an opinion contrary to faith, 1 Cor. 15:46. 46. Heresy adds stubbornness to error, Titus 3:10, 11. 47. Apostasy taken absolutely adds to heresy all the errors con­trary to faith, 1 Tim. 1:19, 20; 2 Tim. 1:15. 48. These things are opposed to faith not only because they cut off the understanding’s assent, which is necessary to faith, but also because they take away the choice and apprehension of faith which is in the will.